Henrietta Lacks’ cells – taken without her knowledge or permission in 1951 –provided the foundation for pioneering medical discoveries, including development of the polio vaccine, gene mapping, cancer treatments and much more. See this riveting story on the big screen and discuss its application to medical and ethical decisions you may face on a daily basis. Science at the Cinema will present the movie, “The Immortal Life of Henrietta Lacks” on Thursday, August 10, at 5 p.m., at the Rochester Public Library, in Rochester, Minnesota. It is free and open to the public. The movie will serve as the basis for a discussion on ethics, race and medical research immediately following the film. 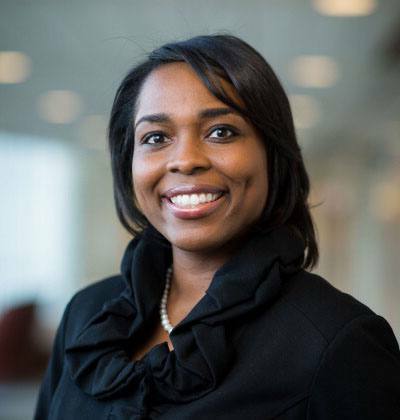 The Mayo Clinic Biomedical Ethics Research Program, Mayo Clinic Office of Community Engagement in Research, African Descendants Mayo Employee Resource Group and Rochester Public Library are sponsoring the event. 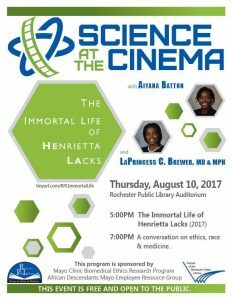 “Henrietta Lacks’ story serves as a poignant example of the complex ethical issues raised by modern medical research. 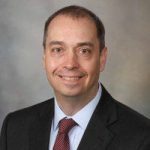 This program will highlight the legacy of Henrietta Lacks and the ethical challenges that medical researchers, community members and patients face as we work together to improve medical care through research,” says Richard Sharp, Ph.D., director, Mayo Clinic Center for Individualized Medicine Bioethics Program. Watch the moving film, based on the best-selling book by Rebecca Skloot, and hear Lacks’ compelling story told by her surviving family members. Learn how Lacks’ cells, removed during treatment for cervical cancer and known to researchers as HeLa, were the first immortal cell line and helped develop many medical treatments used today. Meanwhile her family struggled to deal with her death at the age of 31 and the aftermath of her biological legacy. LaPrincess C. Brewer, M.D., M.P.H., consultant in Department of Cardiovascular Diseases and researcher focusing on eliminating cardiovascular disease health disparities in racial and ethnic minority populations and underserved communities. Mayo Clinic staff and the Rochester Public Library are collaborating to pair screenings of classic and contemporary films with lively presentations by notable science and technology experts. Each film is used as a jumping-off point for a speaker to introduce current research or technological advances in a manner that engages popular culture audiences. 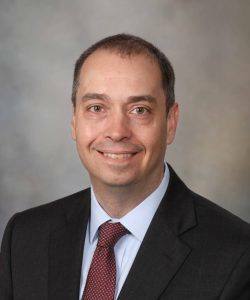 The Mayo Clinic Center for Individualized Medicine is hosting the sixth annual genomics conference, October 9–10, in Rochester, Minnesota.